The clock is ticking for car and vehicle owners who have not switched to the new car license plate in Lebanon yet. 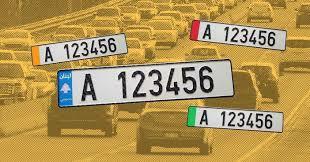 You are now obliged to change your old car license plate to a new one by end June 2019 at the latest, although no official statement has been made yet regarding the exact deadline. Over a year ago, the Lebanese government imposed the obligation of having new license plates installed on all vehicles in Lebanon. The new car plate features a serial number, a laser-drilled barcode, and a 3D-drilled cedar tree, making it impossible to duplicate or forge. Lebanon now finally meets international car plate standards with the installation of new license plates on vehicles. LibanPost offers the service in 14 different locations throughout Lebanon, many of which are in Spinneys supermarkets, as well as some well-known malls and fuel stations, ensuring a quick and smooth procedure for citizens. The opening hours for LibanPost’s car plate services in the dedicated locations are from 9:00 am to 10:00 pm, 7 days a week. Once you get in touch with LibanPost, you will manage to get your new car plate installed within a small period of time. Latest techniques receipt, not older than one year. You will then be given instructions as to when you can head to the car plate production center in order to receive your new car license plate and have it installed directly on your car. If someone other than the original car owner intends to go through the process on behalf of the car owner, then that person would have to submit his own ID for the paperwork. The license plate change process costs LBP 56,000 per car, including LibanPost’s service fees. There is also a home delivery service for the car plate installation.